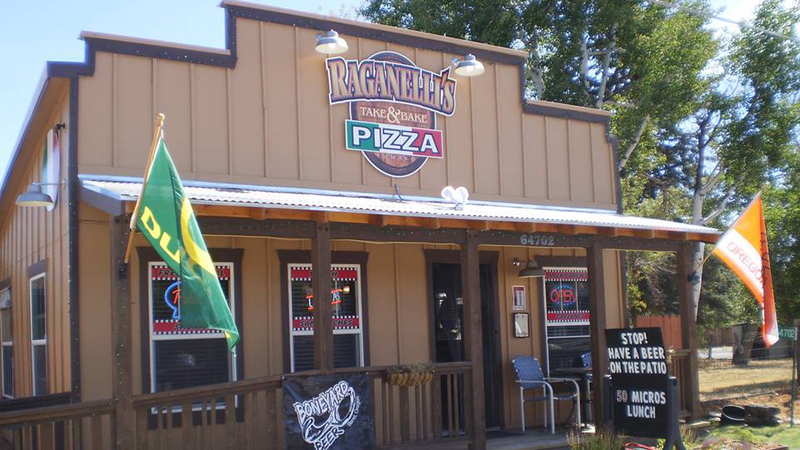 Since 2011, Raganelli’s Pizza has been a family joint in all the ways you can think of. Named after the founder’s grandfather, he says “you will find their love and family bond here at Raganelli’s; I honor my family by offering the best pizza, sandwiches and calzones.” It’s also a family joint because, at any moment, you might find the owner’s kids working around the restaurant. Their dough is made fresh daily and their pizzas come in two sizes, 12″ and 18″, and feature the freshest ingredients, sourced locally as much as possible, topped with a signature mozzarella-provolone cheese blend (unless otherwise noted). Check out their frequently updated lunch specials and their wide beer selection (many of which you can get to go). You can enjoy it all in their hip indoor seating area with flat screen TV and cool music (maybe the kids help with the deejaying as well). “Rag’s” offers Humpday Wednesday pint discounts.